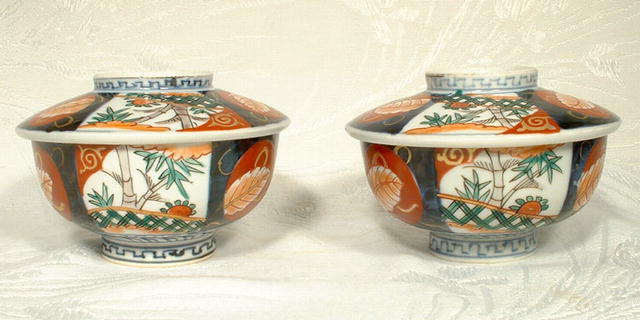 A pair of 19th century signed Japanese porcelain Imari bowls with covers. 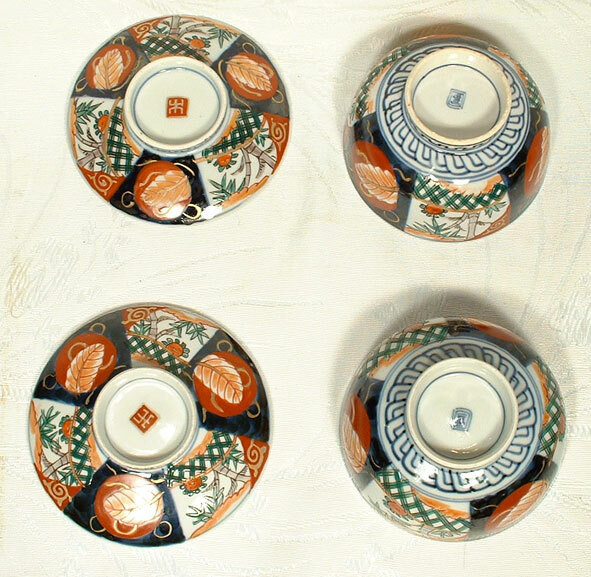 Each of rounded form decorated under glaze with blue, iron red enamels, panels of stylized bamboo and leaves on red ground and gilded. 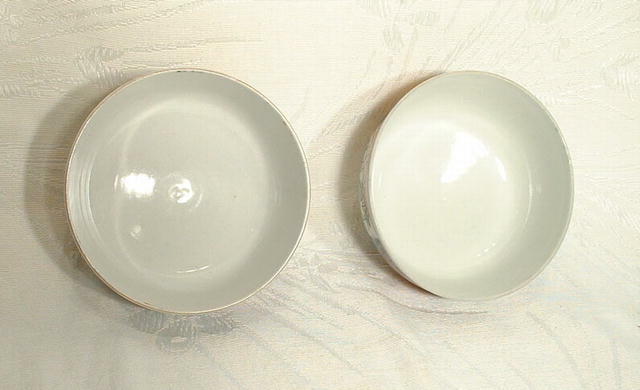 MEASUREMENTS: 5 1/8 inches (13cm) in diameter. 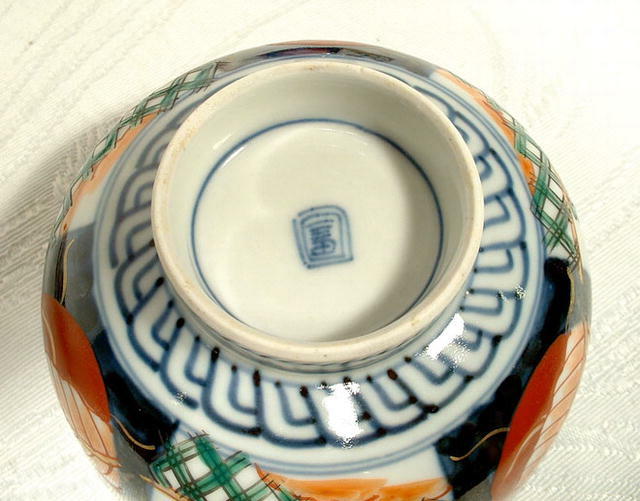 Height: 3 &frac12; inches (9cm). CONDITION: in good condition except for one hairline crack in the interior of one bowl. No repairs or restoration.